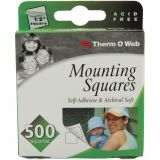 iCraft Mounting Squares - THERM O WEB-Mounting Squares. 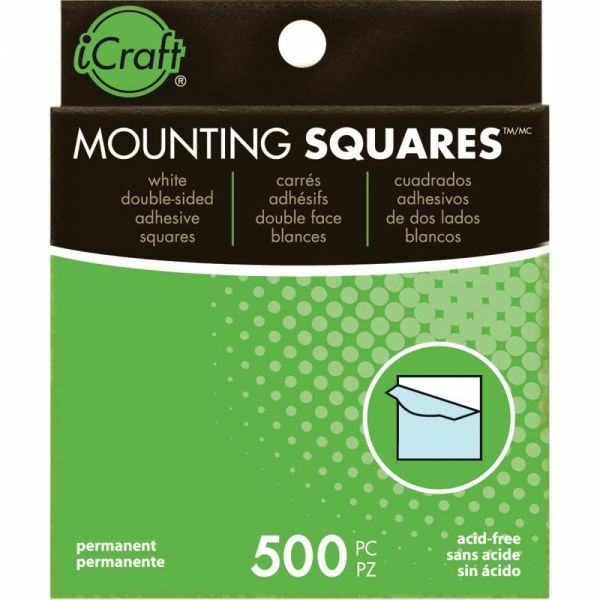 Use these double-sided adhesive squares to permanently secure photos, cardstock, cards and other memorabilia onto scrapbook pages and greeting cards. These squares are acid-free and archival safe. 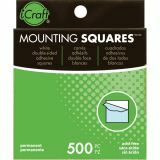 This package contains 500 1/2in squares. Imported.